The past week, since returning from the Western Field Ornithologists meeting in Sierra Vista, David and I have made several trips to Beal Lake. When we moved to this area last December, we were only vaguely aware of Beal Lake, thinking it was an area closed to birders. Our friend and local birder DeeDee DeLorenzo informed us otherwise, and showed us the location when we each tagged along with her on a weekly bird survey of Havasu NWR. While we have been making infrequent stops there throughout the spring and summer, only now is it really turning into an amazing birding hotspot. In August, our targets have mainly been shorebirds, and we haven’t been disappointed! A total of 22 shorebird species have been present in only a handful of visits in the past week, including several rarities, state birds and county birds. I won’t list the entire suite of shorebirds, but some of the highlights have been Semipalmated and Snowy Plover, Solitary Sandpiper, Willet, Whimbrel, Semipalmated Sandpiper, Pectoral Sandpiper, Stilt Sandpiper, Baird’s Sandpiper, and Short-billed Dowitcher. 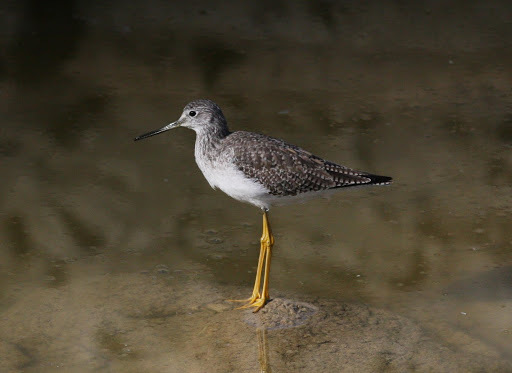 Stilt Sandpiper in particular is a real rarity, with only a handful of records from the LCRV. This is something of an enigma – they are found regularly at the Salton Sea and are seen every fall in other parts of Arizona, so it’s not well understood why they are not more regular along the Colorado River. Falling water levels have attracted swarms of other birds to Beal Lake, as well. Herons have been feasting upon fish stranded in shallow water, while Rallids and ducks enjoy easy access to underwater vegetation. Even a few migrant landbirds have been in the surrounding brush. This spot is a real gem. 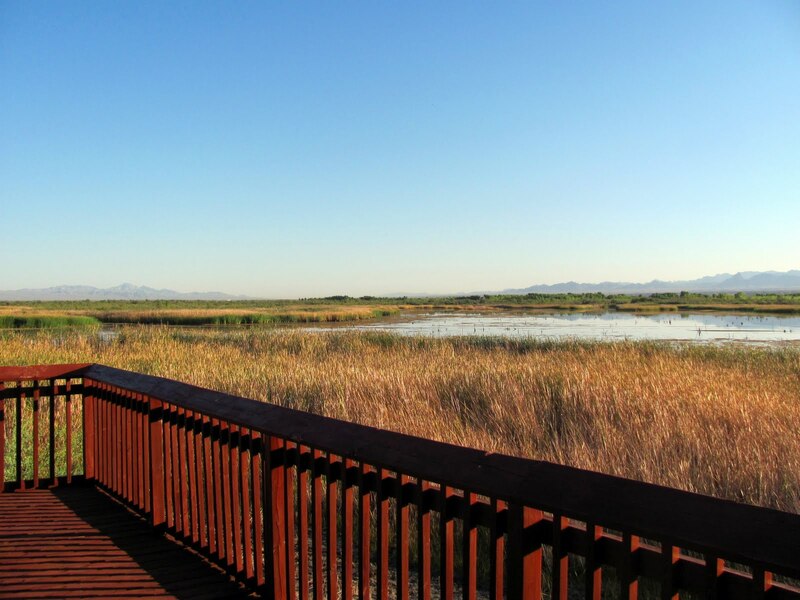 If our past few visits are representative of typical August shorebird migration, Beal Lake is right up there with the best shorebirding spots in Arizona, and is certainly underbirded! Getting there: The quickest access is from Needles, CA. From Needles, you’ll have to navigate through town until you cross the bridge into Arizona (there is only one in town). We prefer to exit at J Street and follow signs through town, but it’s best to check a map as this can get pretty confusing. Once across the bridge, move immediately into the right-hand turn lane and turn right (just before the car wash) onto Levee Rd. Turn right when you reach a stop sign. If you’re coming from Bullhead City, you’ll come south on Highway 95 to a stop light on Courtwright Rd. Continue straight through the light, then make a quick left onto Barrackman Rd – this takes you straight to the “River Highway”. If you are birding Pintail Slough or Topock Marsh first, you will continue north on the highway until it turns west and becomes Courtwright Rd. From the stop light at Hwy 95, follow the directions above. Once on Barrackman Rd/River Hwy, continue south past a few developments. One on the left has some canals that can be good for ducks in winter. After this the road becomes gravel – continue on for several miles until the road appears to dead-end at a chain-link fence. A curve to the left will take you to Beal Lake. You will pass through a refuge gate – although it is supposed to be closed on weekends, we have never found it closed. If it is locked, you can park at the gate and walk in – it’s not far to the lake. Otherwise, drive through and follow the first left-hand turn, just before a locked gate. This spur will take you to a very nice, newly built platform overlooking the lake. This platform provides the best overall view of the lake, overlooking most of the central portion. This is the better place to go for a short visit, birders without scopes, and for most ducks and herons. However, most of the shorebirds have been concentrating at the south end of the lake, not readily visible from the new platform. To get to the south end, park at that locked refuge gate and walk for a few hundred meters until reaching an opening with a view of the lake and an old, sketchy platform that looks like it’s ready to fall with the next heavy wind. The platform is sturdier than it looks, but I wouldn’t recommend it for groups of more than two or for anyone without a sense of adventure. Hopefully, the refuge will eventually get around to demolishing this and other older platforms and replace them with sturdy public viewing areas. In the mean time, if you don’t want to climb the rickety stairs, there is enough of an opening in the reeds to bird from the ground. From here, you should be able to get a decent look at the bulk of the shorebirds on the lake. EDIT: This platform has been demolished and not replaced. When birding Beal Lake, I can’t stress enough the importance of getting there early. At any time of year, it is best to arrive before sunrise. From the main platform, you will be looking east, straight into the rising sun. With no shade in the area, it gets hot fast, and heat waves make the birding difficult! At a cooler time of year, an evening visit would likely be worthwhile, when the sun is at your back. If you choose to walk down the road to the old platform, bring water and a hat. A scope is always a good idea – the lake is too large to bird easily with binoculars. 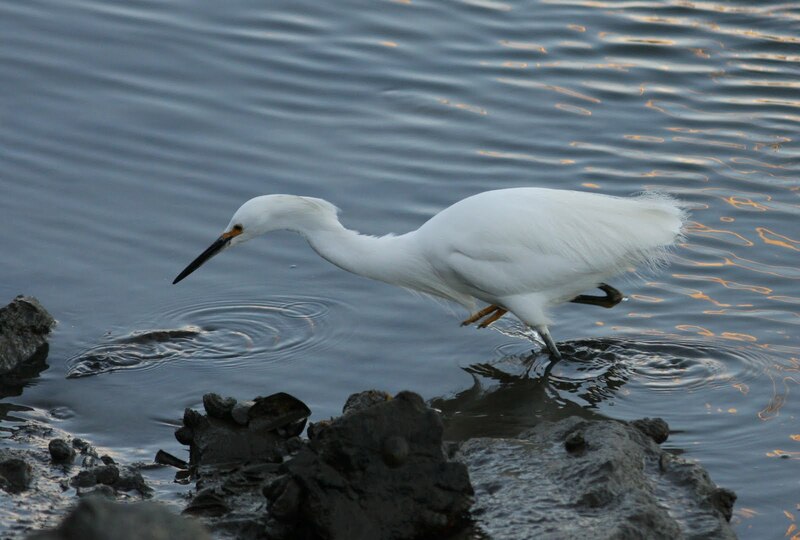 Fishing Snowy Egrets are a common sight on Beal Lake. While Beal is really top-notch right now for shorebirds, I do recommend the spot any time of year – it is a good place to see ducks, rails, herons, gulls, and terns. Plus, you never know what will turn up! 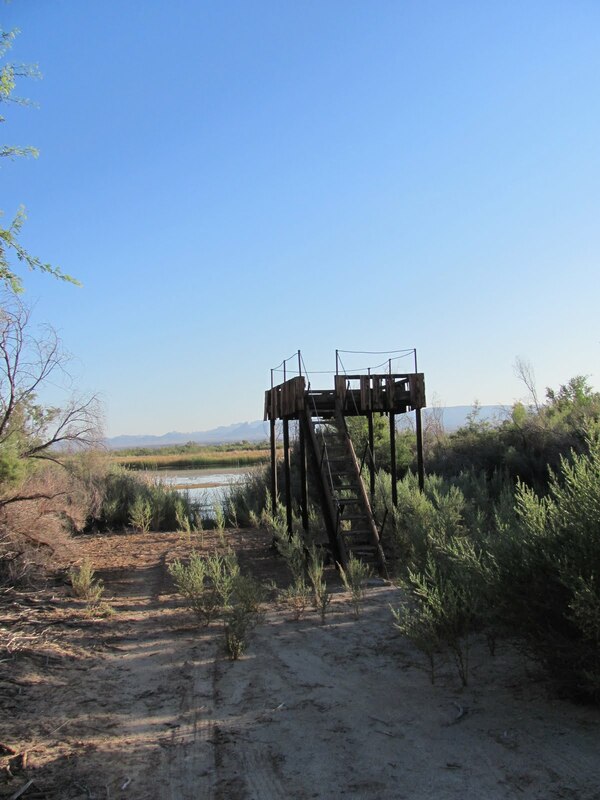 This entry was posted in Birding Locations, Havasu NWR, LCRV, Mohave County. Bookmark the permalink.